The Nostat® ESD smock is designed to protect ESD sensitive devices from static generating clothing by creating a faraday cage. 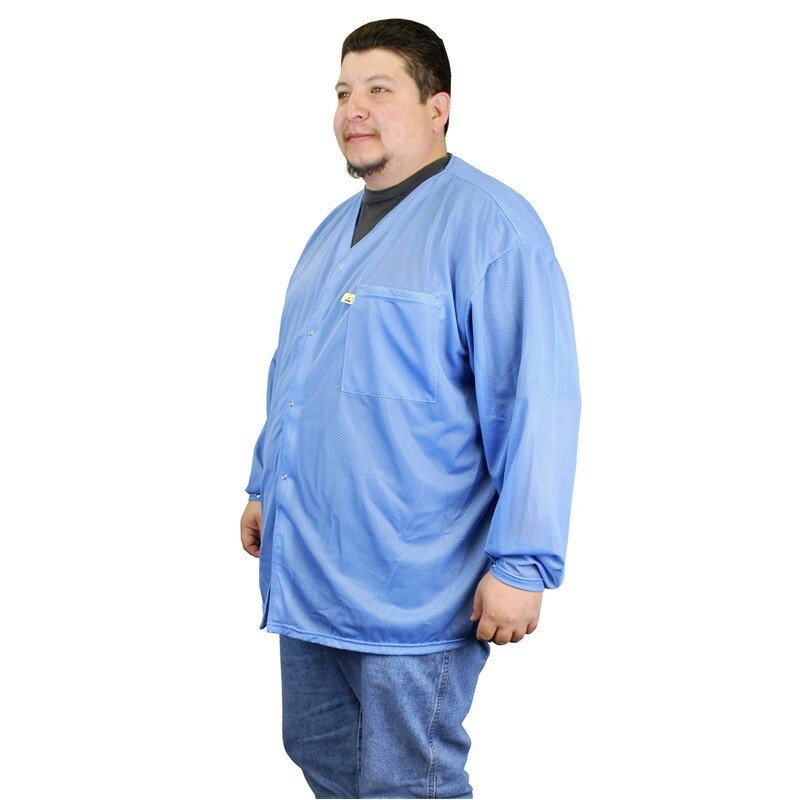 Wearing an ESD protective garment is an important element of a complete ESD program. Nostat® ESD garments have snaps at the cuff for adjustable fit. A minimum of 9% conductive nylon fiber woven in a chain link design, combined with reinforced seams gives superior panel to panel and sleeve to sleeve conductivity.